Below you will find the official Laser GMK history of collaborative sales and events, keep checking every once in a while – new sales are always coming and we are just getting started! Strikethrough links mean the specific sale is no longer available. Me and Massdrop developed the Laser ALT 65% mechanical keyboard, an exclusive keyboard designed especially for Laser GMK. 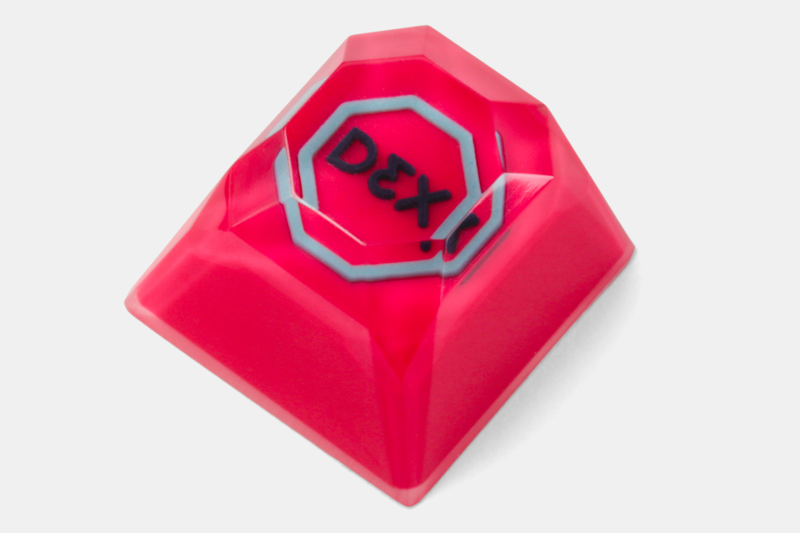 Available in anodized aluminum (purple or pink), the keyboard comes pre-assembled and it is hot swappable. The Laser ALT 65% is fully programmable via QMK and it features a beautiful RGB underglow and backlighting. 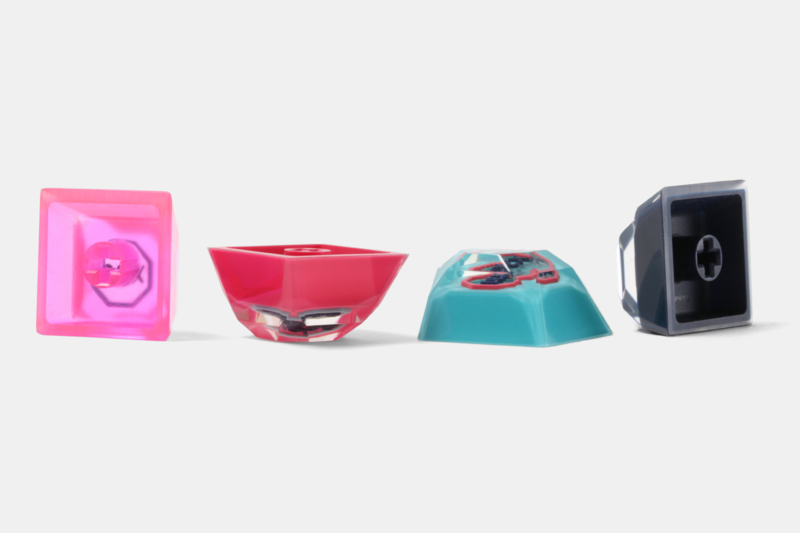 Halo and BOX switches are available at checkout. Grab yours now! NavaCaps stepped in with some of his amazing sculpts and offered an exclusive collection named Laser Couture, via limited unities raffle. 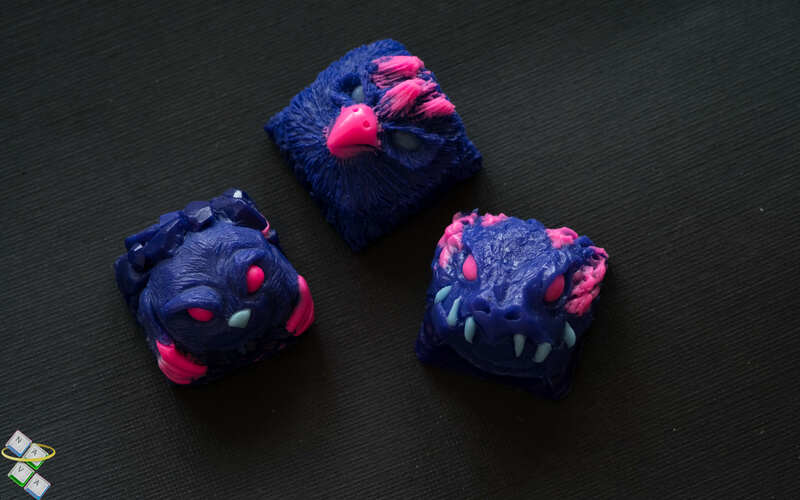 In this event NavaCaps made available the Miner, Taka and Drooga designs in the Laser GMK colorway! 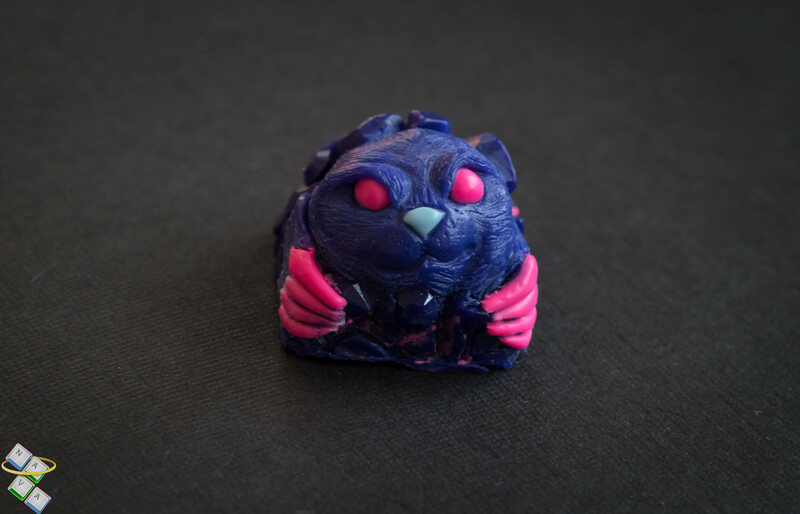 The name of the event is Miner & Stuff sale where he’s also conducting a 1/1 keycap giveaway to the Reddit community. 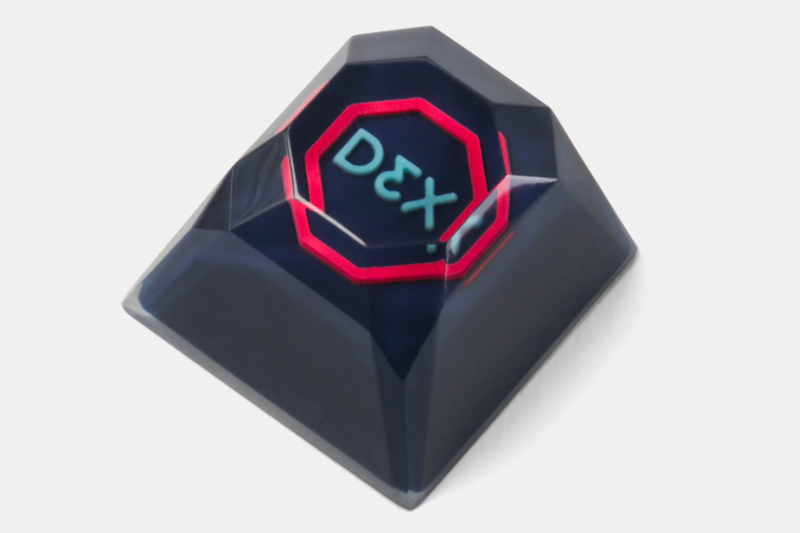 For a limited time me and Team Hammer are offering D3X stim pill artisan keycaps on Massdrop, these come straight from Hands on Deck, the Laser GMK Short Story written by me and JoTo. Four different flavors are available, we hope you enjoy these! 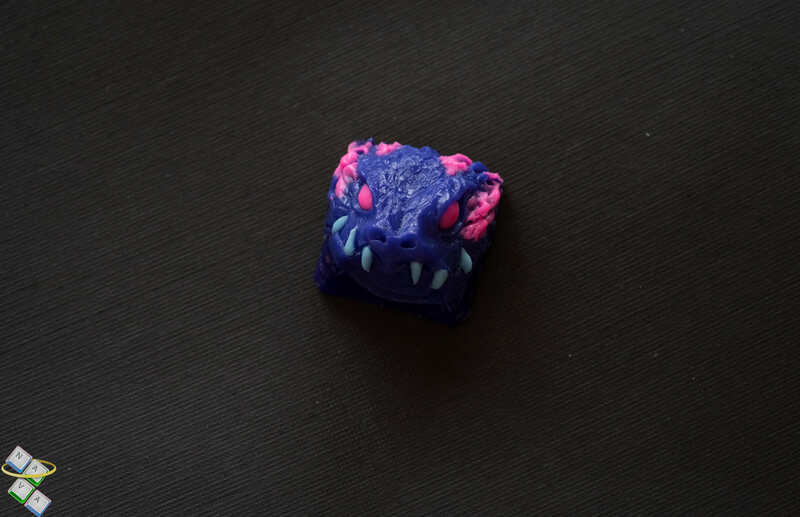 If you thought Nightcaps were done with Laser GMK insanity after releasing the Laserman 2037 Bomb King, think again. On Feb. 2nd at 4 PM PST the Zooted Laserman 2037 flash raffle will take place featuring exlusive Fugthulhus, Shellthulhus, Idyllwild Eggfaces, Piccolo Eggfaces and Moonblanks too. The canary is alive! Participate in the raffle here! Another fantastic exclusive collaboration for the Laser GMK project is coming from my favorite freaks over Hunger Works Studio. A 24 hour website sale will be held on Feb. 2nd. 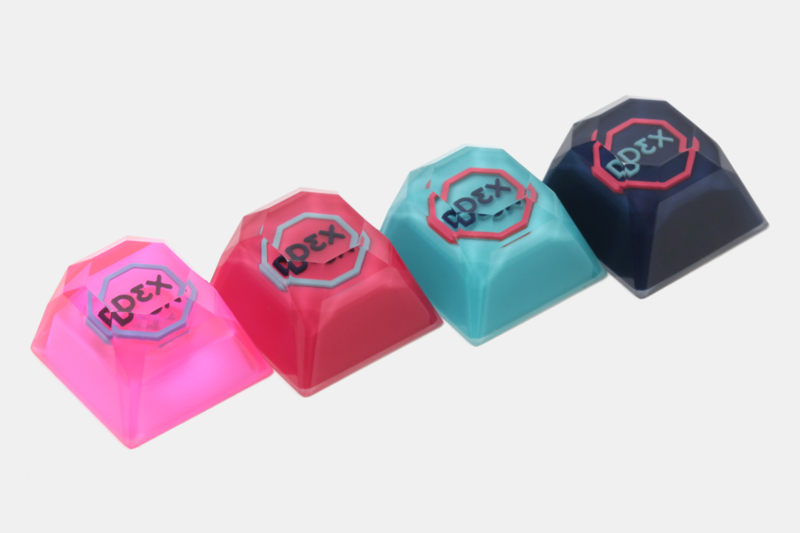 Starting at 12h EST, there will be forty keycaps featuring the UV color reactive Tripping the Laser Fantastic colorway. Community favorite sculpts such as Otterophiles, Lion Keyngs, Skullthullus, Fugthullus and others will be up for grabs. My friends from NovelKeys came up with amazing Laser GMK themed deskmats (not only that but also a couple Godspeed Apollo and Godspeed Ares ones). The ultra rad neon grid is very well represented! KachaKeys contributed to the commissions galore by featuring the Laser GMK colorway in the Gojira sale. Several people received color samples, KachaKeys received those. The Gojira Laser Breath is a fierce reptile from the kybernetic Rio swamps! Another extremely talented community member – SKDC carefully crafted hand made Cherry profile double tone blanks following the Laser colorway. 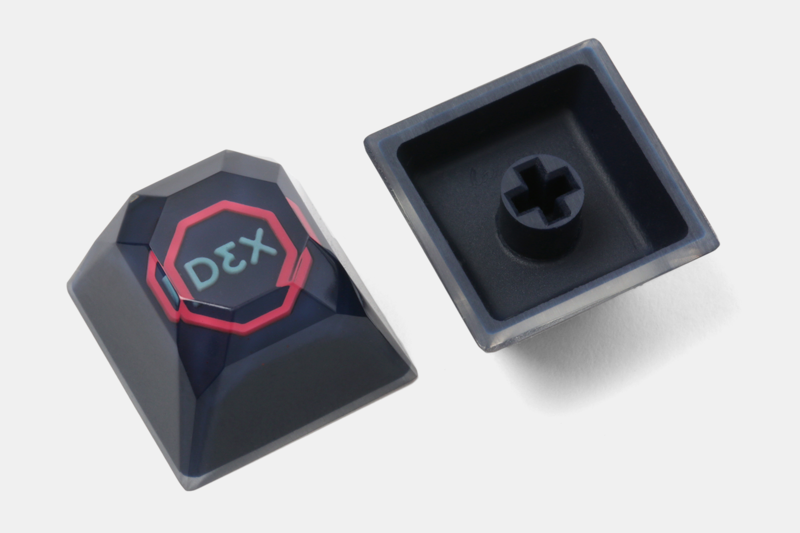 His artisan keycaps are extremely delicate and his attention to detail is remarkable, the Laser blanks made by him were offered for both Topre and MX mounts! Nightcaps, the inventors of the Fugu, Bomb King, Eggface and several other incredibly detailed sculpts featured the Laserman 2037 flavor for the Bomb King sculpt in their Nutrient Cores sale! An old friend of mine – AlphaKeycaps color matched his doggos’ sculpt for the Laser GMK keyset. He organized a sale during Christmas, 2017 featuring Major Lazer – the cybernetic pup! Adopt the Laser pup here! Throughout the year of 2017, me and GMK Electronic Design GmbH experimented with new techniques for ABS thermoplastic doubleshot injection. 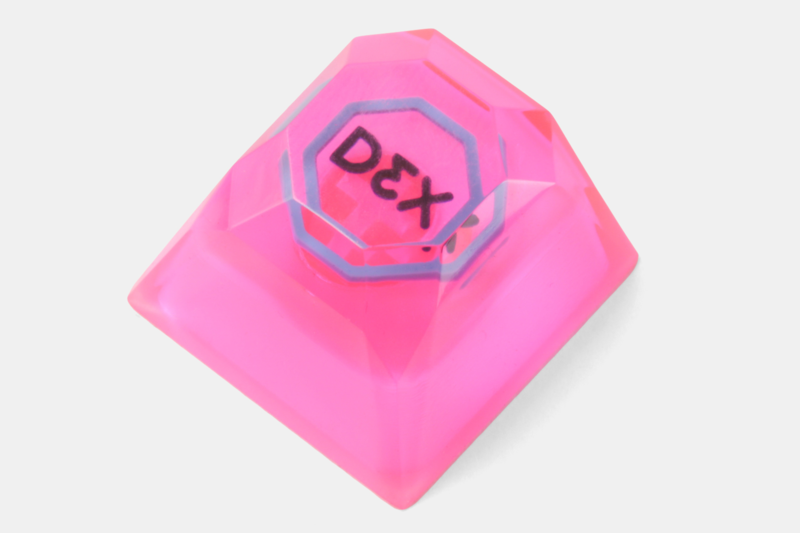 In order to develop unique translucent backlit keycaps we opted to inject solid legends on translucent keycaps. You can read more about the Laserwave GMK project here. 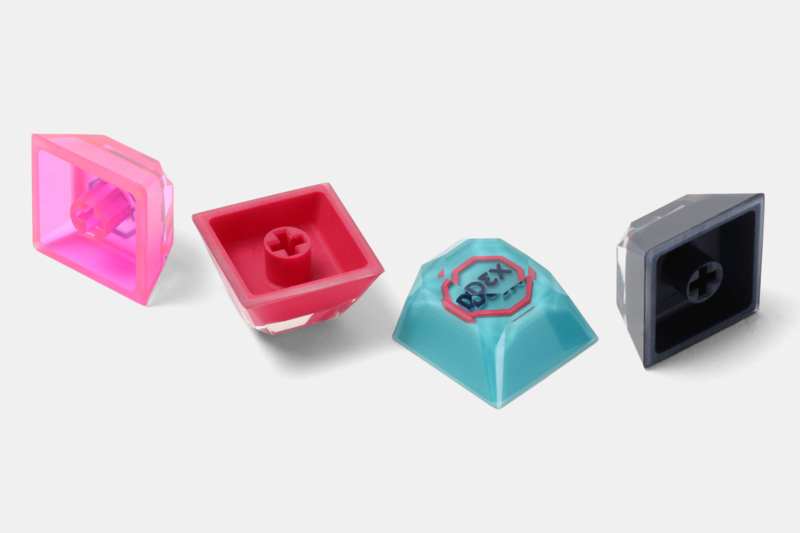 Hot Keys Project and I worked together for over a year in order to develop not only neon blanks for both Topre and MX stems, including spacebars – but also Turbo, the official villain character from Hands on Deck – The Laser GMK Short Story. Mech Cables ran a special batch of coiled and straight cables for the keycap set. Several options and colors were offered. Suited Up Keycaps sculpted Agent 88, the official hero character from Hands on Deck – The Laser GMK Short Story. Nearly all of his previous sculpts were also color matched appropriately. 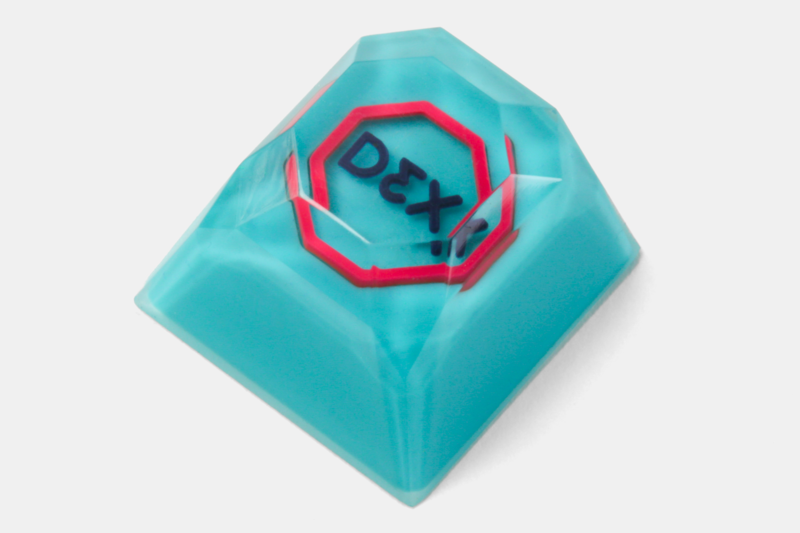 Order the hero and artisans here!